I just went to Scheveningen for a small getaway to enjoy some of the nice weather at the beach. In Scheveningen there are some great beach clubs with many vegetarian options. Here's a list with my favorite beach clubs in Scheveningen. 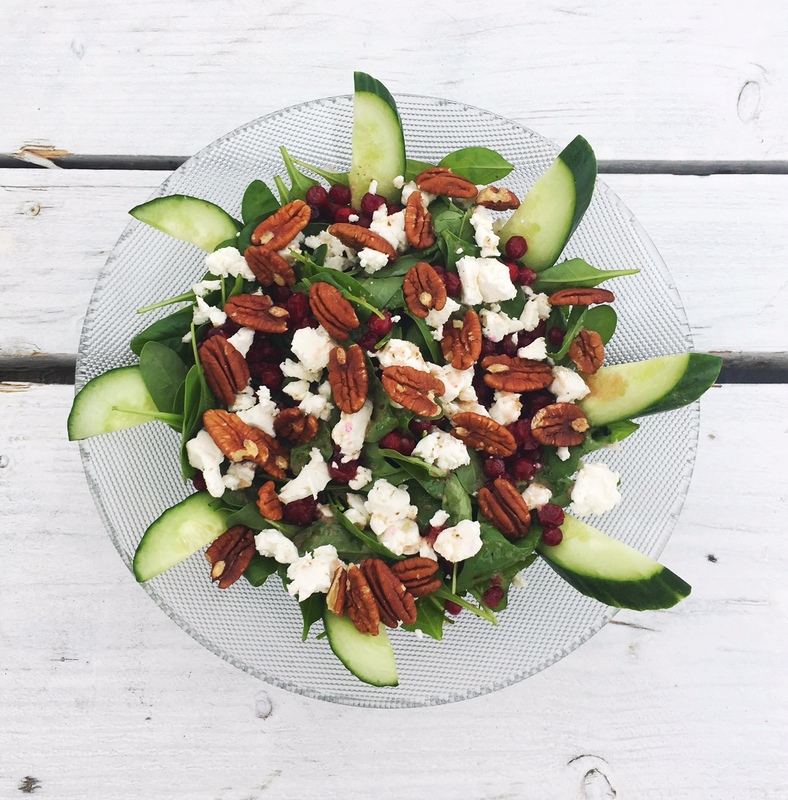 such as this spinach salad with goat cheese, cranberries and pecans. We went to Zanzibar a couple of times to have a drink and some vegetarian tapas. If you want you can also have a barbecue on your own table. It looked like a lot of fun. They have a vegetarian bbq menu. The Fat Mermaid is a great spot if you want quality food for a reasonable price. I had a super delicious vegetarian dahl burger. This was the best food we had in Scheveningen so far. What I loved at Cocomo is that they have a vegetarian club sandwich on their menu. Most restaurants only have one with chicken. then you can't go wrong in my book. This beach club also has many other vegetarian dishes. Feel free to share your favorite spots in Scheveningen!